Every 22. person is free of charge. 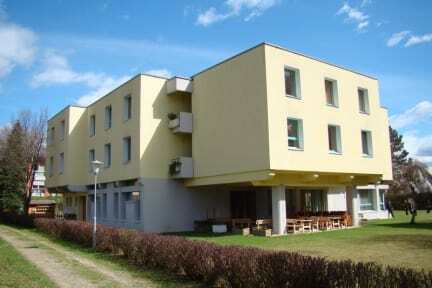 The Villach youth hostel offers 135 beds and is located in the Villach neighbourhood St. Martin nearby a number of sports and recreation facilities and only 20 minutes driving distance away from Italy and Slovenia. Villach is Carinthia´s second largest city and a typical all year holiday region. In summer, Villach stands for swimming in lakes with drinking water quality, bicycle trips and hikes along the River Drau or strolling through the historic city centre. In winter Villach is „hot fun in snow and ice“ with 2 skiing regions in its immediate surrounding, the Nordic skiing centre and countless ice skating rinks. Each room has its own anteroom and shower/toilet. 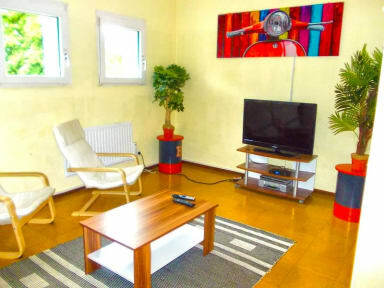 In the basement and ground floor there are a number of leisure facilities such as sauna, TV room, table tennis. A separable hall for events as well as a seminar room and free WIFI Internet can be used by our guests. In addition to a rich breakfast buffet we can offer on order three-course lunches and dinners. We also cater for seminars. Taxes not included - visitor's tax 2 EUR per person per night from the age of 16 will be added. Child friendly. Children till the age of 3 are free of charge. Towels can be rented for 1.50 EUR per towel. Prima geasthouse voor een doorreis. 10 min lopen van de stad en 20 min vanaf het station. Vriendelijk personeel. Geen wifi in de kamer alleen in de lobby.